For world-class craftsmanship, trust Adams Cabinetry of Louisville, KY. We provide quality commercial custom casework, all types of residential cabinetry, as well as granite and solid surface countertops. 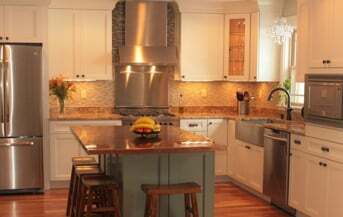 Serving Kentuckiana with over 20 years of experience, we manufacture and install our own cabinetry and countertops for a custom look you won’t find anywhere else. 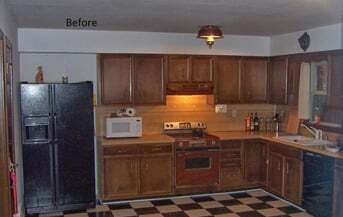 We also install other brands and offer Legacy Cabinets and Pioneer Cabinetry for you to choose from. Tired of looking for cabinetry for your new design but can’t find what you want? Adams Cabinetry can manufacture custom casework and cabinetry for any style you want. Dedicated to excellence, style and function, we will work with you to create a product you’ll love for your specific space. Whether you need casework, cabinetry or countertops for a new construction, home renovation or remodel, we are the company that will deliver top-notch results. Your dream kitchen or bathroom can be yours when you come to us. You’ll be amazed with your new space when we’ve finished our work. For quality cabinetry and countertops that will beautify your interior and last the test of time, make sure to give us a call. We’ll be glad to discuss your designs ideas with you and offer you our honest, professional opinion.